Increasing awareness amongst Local and Regional Authorities (LRAs) of the potential benefits of GMES Copernicus downstream services, through the production and development of specific communication tools and web services. GMES Copernicus products and services are about to become available, notably for the benefit of Local and Regional Authorities (LRAs). Yet whilst hundreds of millions of Euros have been invested in GMES Copernicus (by the European Community, ESA and their Member States through FP projects), most LRAs remain unaware of its existence. This paradox is the raison d’être of GRAAL. GRAAL is an FP7 project aiming at fostering GMES Copernicus downstream services and links with European Union Regions. The project officially started on February 1st, 2011 and will run until January 31st, 2013. 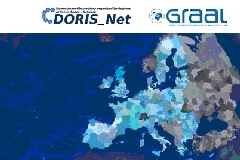 GRAAL coordinates its activities with the DORIS_Net project. GRAAL (GMES & Regions - Awareness and Access Link) has as overall objective to increase awareness amongst Local and Regional Authorities (LRAs) of the potential benefits of GMES Copernicus downstream services whilst fostering the participation of SMEs in GMES Copernicus activities. These two major objectives are achieved through the production and development of specific communication tools and web services addressing LRAs, academia, and the private sector needs. 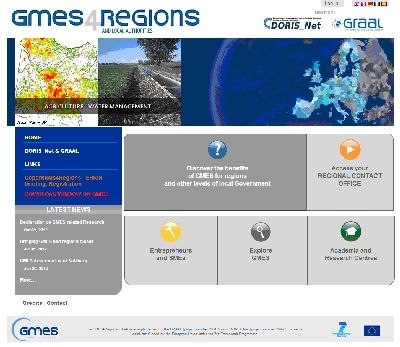 The main communication tool is the web portal Copernicus4Regions - developed by Planetek and available at http://copernicus4regions.eu -, designed to let the users access and use all the services and products made available by GRAAL and DORIS_Net projects. In order to facilitate the matching process between supply and demand, the web portal includes a "Matching Platform" – also accessible on a map view -, designed to connect specific needs of Local Governments and Authorities, (such as for urban and territorial monitoring, transportations, hydrological resources, atmospheric pollution) with actual supply capacities of service providers for the request service.